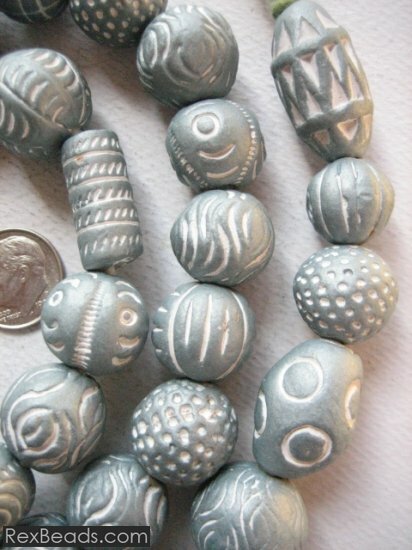 Clay beads date as far back as 1000 BC in various regions across the world. 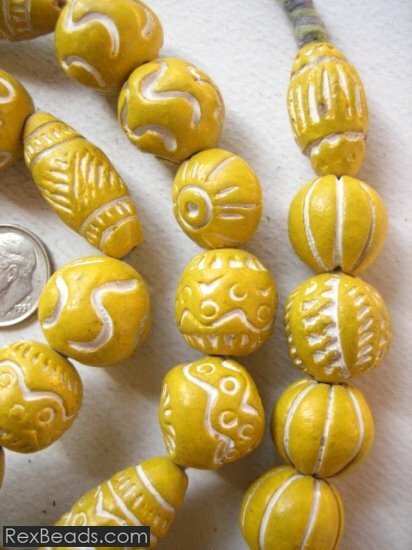 In Africa, clay beads were used as trade beads in countries such as Ghana and Mali. 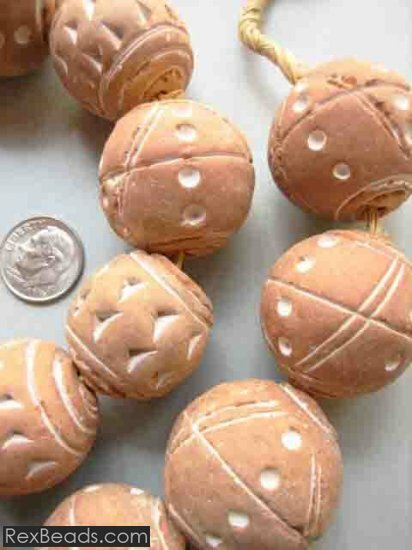 Clay beads were mainly adorned by the poor due to their affordability. In contrast to the rare precious stones and metals that the rich could wear, clay was available in abundance. 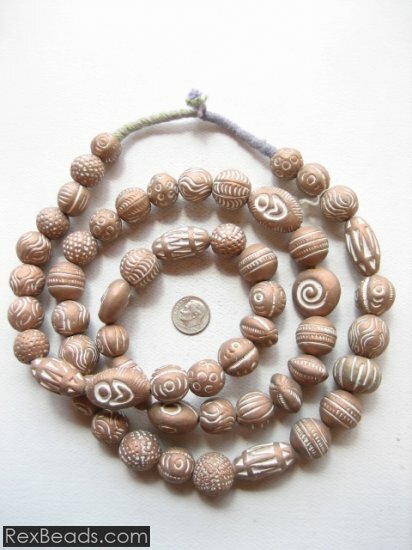 Clay beads were traditionally used in prayer strands as well as in amulets as jewelry. 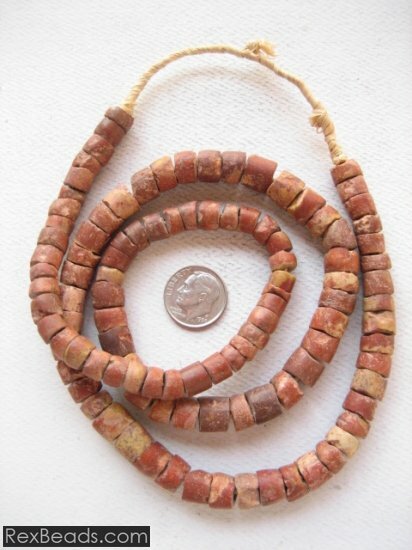 The beads were typically designed with large holes that could accommodate leather thongs as strands. Today, some nations prize their clay bead heritage so much that they prohibit their export. 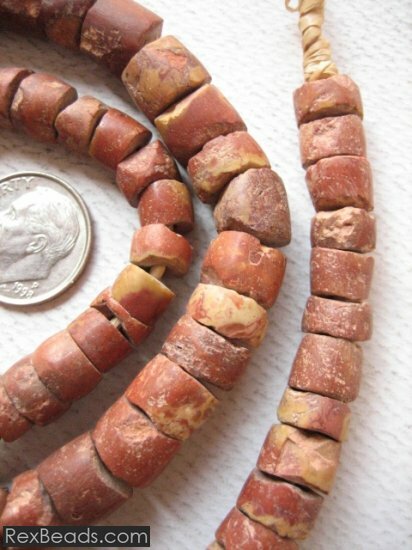 Bauxite clay beads were originally made in West Africa in countries such as Ghana. 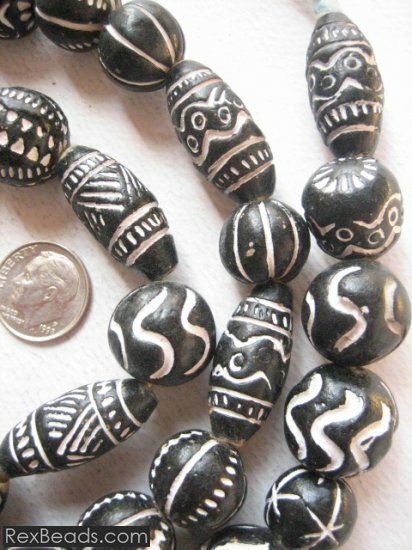 These beads played a role in traditional rites and ceremonies such as circumcision, coming of age, marriage, burial, as well as other traditional festivals. These beads were mainly worn as pendants and bracelets, and formed a visual language that spoke of the beliefs, status, family, life experiences and accomplishments of the bead wearer. Bauxite clay beads were formed with care to produce a final ornament that would tell the story of the wearer. As such, these beads served as a biography of the community, village and the individuals that adorned themselves with the bauxite clay beads.